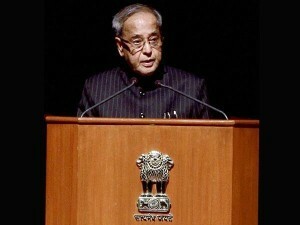 President Pranab Mukherjee asked higher educational institutions to be at the forefront of bridging the digital divide, income asymmetries and rural-urban differentiation in the country, especially, in view of the ‘Make in India’ and the ‘Digital India’ initiatives unveiled by the Government. He said NITs can and need to be the connecting force between rural innovations, local employment and world class manufacturing. President Mukherjee said this while inaugurating a two day Conference of Directors of National Institutes of Technology (NITs) at Rashtrapati Bhavan on October 29. This is the second Conference of Directors of NITs during the present Presidency and is part of the regular, focused interaction the President has been having with Central Universities, IITs and IISERs in his capacity as Visitor to these institutions. The President also called upon all NITs to deepen and broad-base their involvement with society. He said their work must find resonance with the needs and aspirations of our people. On the model of the Saansad Adarsh Gram Yojana launched by the Prime Minister recently, NITs should adopt at least one village each and transform them into model villages worthy of replication across the country. They must source, if required, experts from other Central institutions to provide solutions to the wide mosaic of issues that such a transformation to model villages will entail.